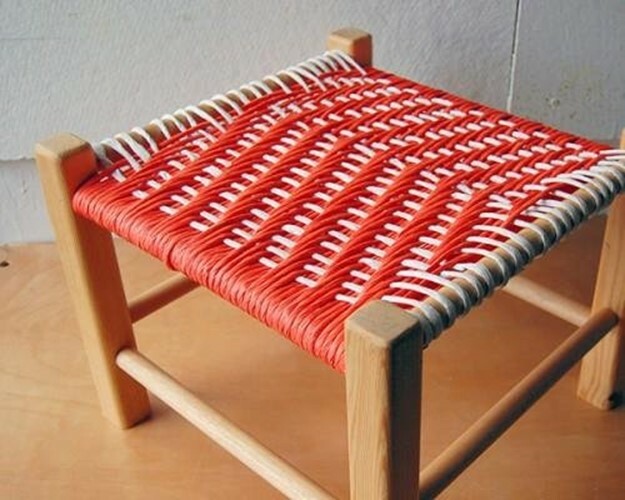 Stool made technique of weaving can become quite an original decorative elements of an Interior. 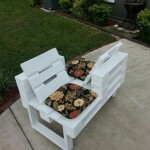 Your family and friends will love this handmade furniture. 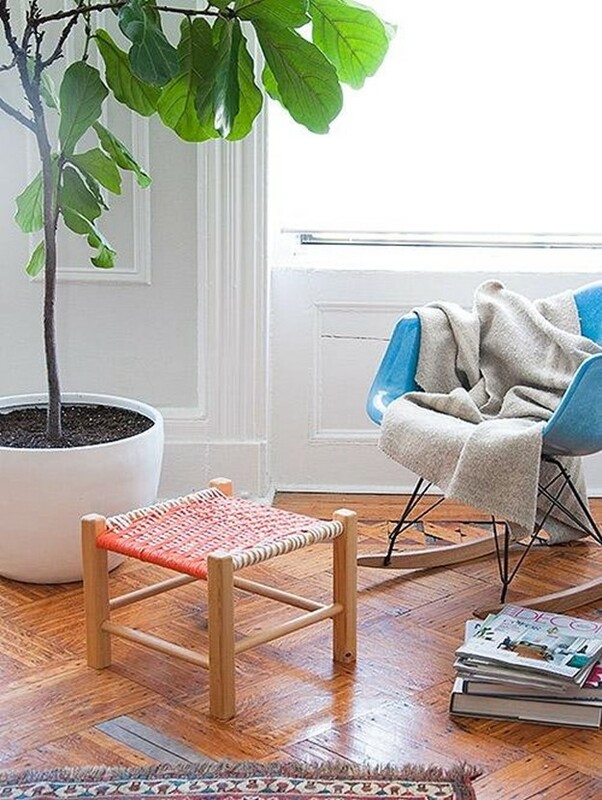 Note that for the manufacture of a stool in addition to paper, you can also use linen cords. As an alternative, you can also use synthetic cords. To calculate the length of cable required to operate, you need to take into account the dimensions of the frame. 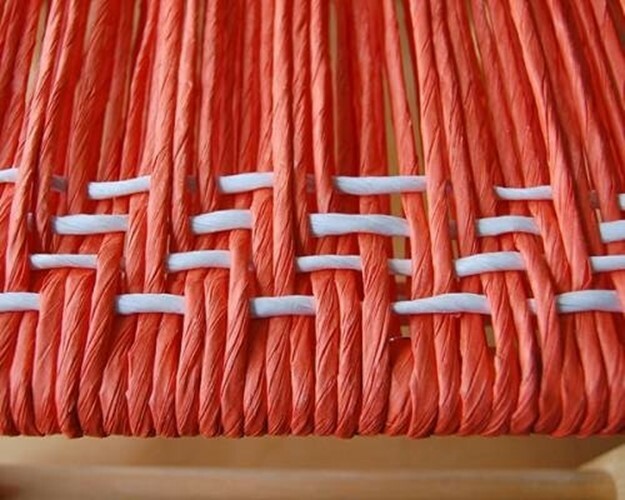 For example, if the frame is equal to 12 -14 inches (30-35 cm), approximately 56 feet (17 m) plaiting the cord base seats, and approximately 26 feet (8 m), which will be used in the process of weaving. Let’s start with the basics of handling. 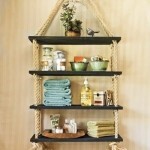 In addition to paints you can use furniture polish. Next, you need to determine which areas will be the main thread. 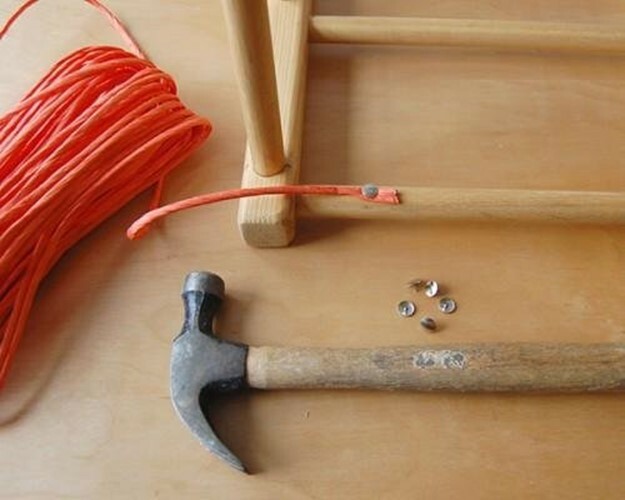 The process of winding the cord to the frame can be simplified by fixing a tip on the frame with the nail or Pushpin. 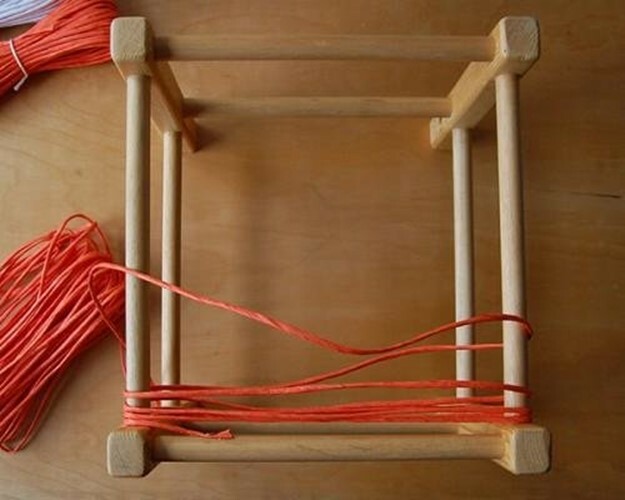 You can then proceed to wrap cord to the frame. 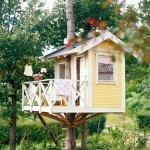 It should be noted that the wind should be on two opposite Rails framework. It is necessary to ensure that the coils of cord were suiting. After winding 5 revolutions need to pull a cord and take care of fixing it. To do this, we use a clamp. Repeat this after each winding 5 revolutions. 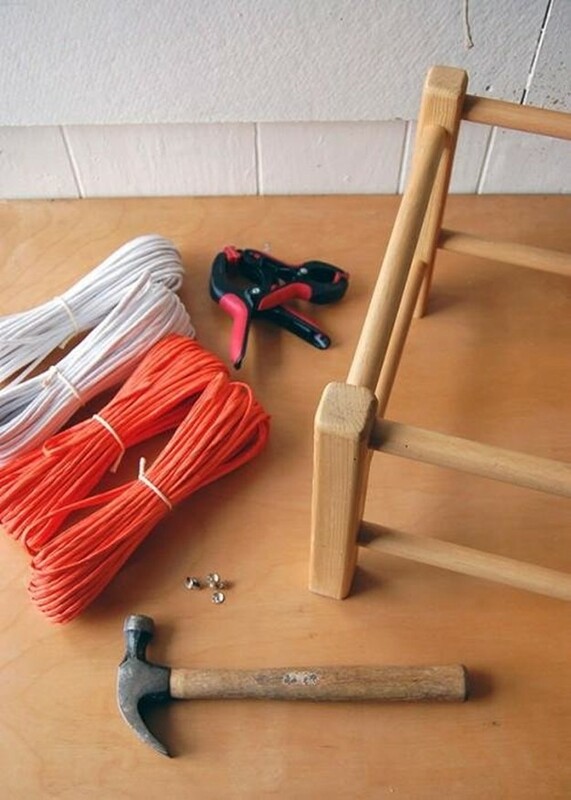 Once the frame is almost completely wound, you need to fix the cord on the inside of the rack. Thus, we continue to wound and capture a second tip of the cord through. 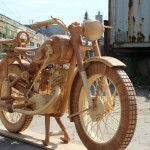 At this point, you can go to the weaving of yarns in the cord. You can use any convenient scheme, for example, 3 round top and 3 bottom or top 1, 3 from the bottom, and two on the top and bottom of the revolution or at 5 and 4 respectively. It is important to remember that the number of rows of the basics, which will remain under the top layer of braid will determine how visible will she braid. Extend the cord through all the threads that were used for the basis of the chosen schema. 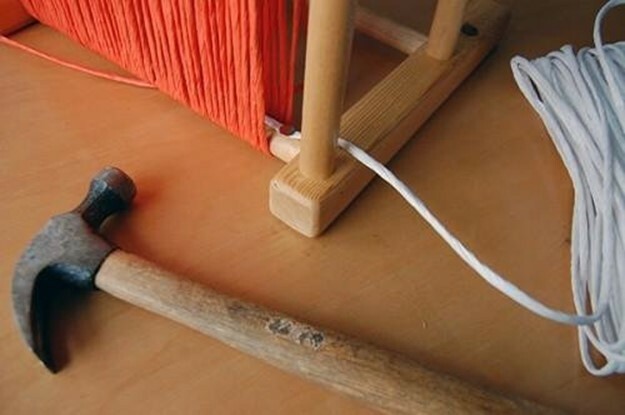 After the first row of weaving, the cord should wrap under the bar on the frame and tighten. 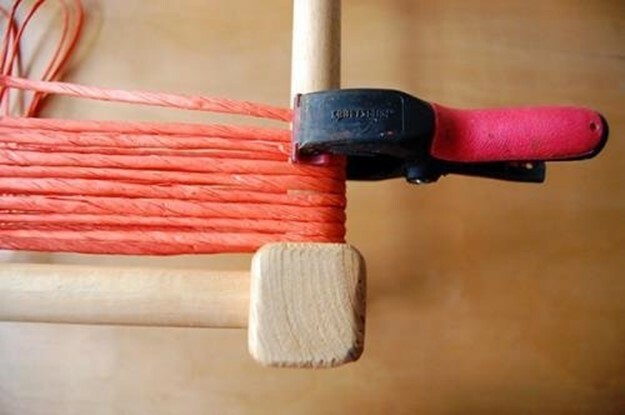 With this, you need to make sure that the cord, which is the process of braiding, was moved as close as possible to the side of the frame. 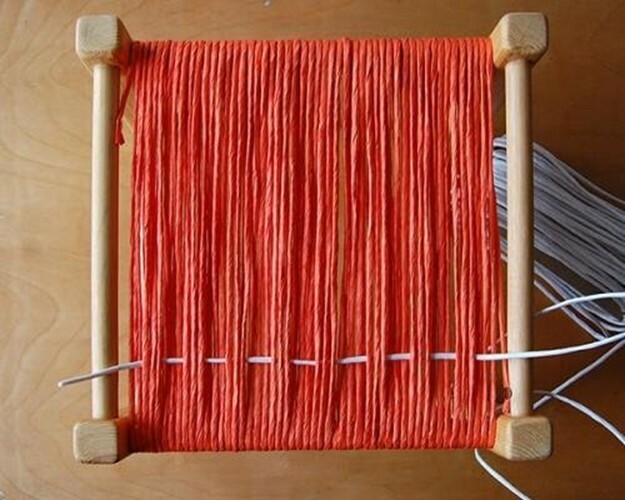 Continue to weave, not forgetting that set the second number must be offset on one thread forward. 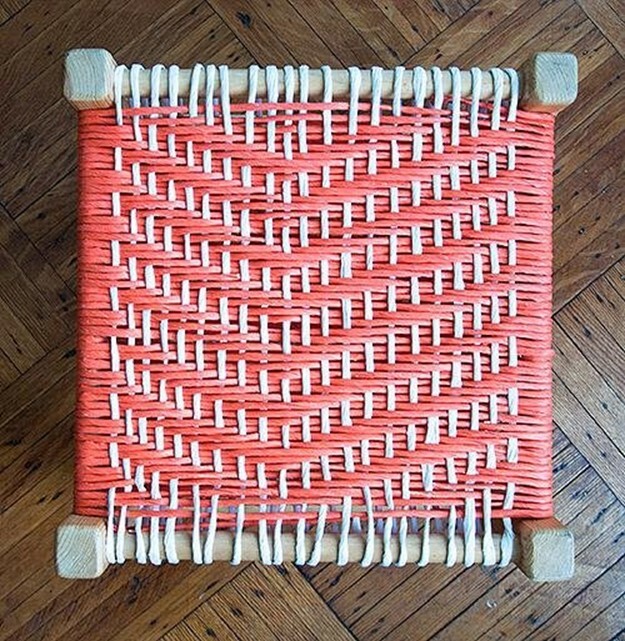 Consistent bias can be weaving on a diagonal. At the very end of weaving will be a bit difficult. This is due to the gradual increase in tension thread basis. 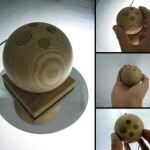 Here we need the awl, which will simplify the process.